When will be Turnabout next episode air date? Is Turnabout renewed or cancelled? 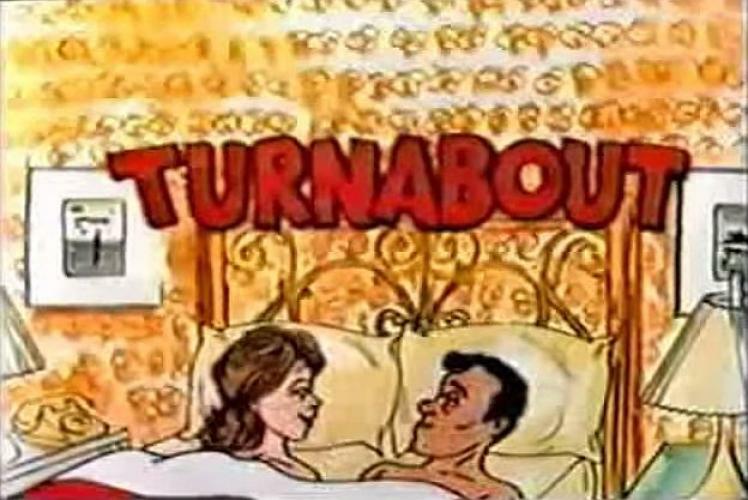 Where to countdown Turnabout air dates? Is Turnabout worth watching? Once upon a time in a very nice city, in a very nice house there lived a very nice man and a very nice woman. They were married to each other and they loved each other very much. They didn't only love each other, they also liked each other. How 'bout that? But they had a problem: even though they loved each other and liked each other, had good jobs, they sometimes were not very happy. They envied each other, they each one thought the other had a more interesting life and they wished they could change places for each other and when they said that unfortunately, they said it in front of a statue that had a magic spell. And lo and behold, his spirit and personality went into her body and hers went into him. And that's the way they are today. Will they live happily ever after? Well, let's see. EpisoDate.com is your TV show guide to Countdown Turnabout Episode Air Dates and to stay in touch with Turnabout next episode Air Date and your others favorite TV Shows. Add the shows you like to a "Watchlist" and let the site take it from there.